So I've been trying out a new foundation for the last few weeks and it's already made it to the top of my favorites list. 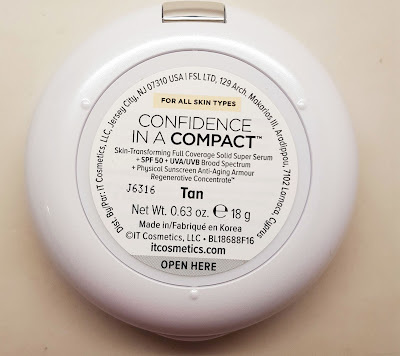 Favorite foundation of 2017! Check it out! 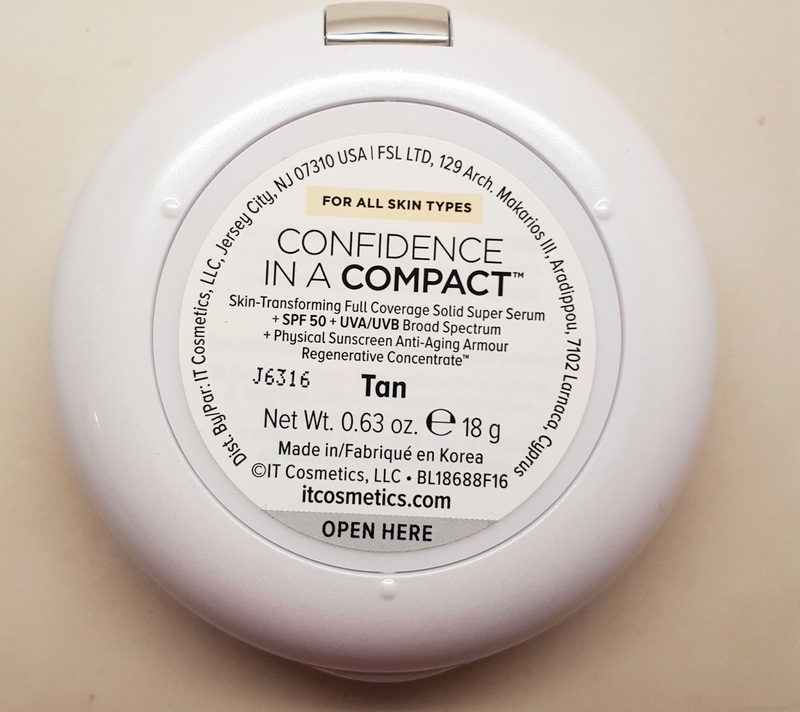 IT Cosmetics recently developed a brand new foundation formula called Confidence in a Compact. This is definitely different than any makeup I've ever tried. I've always been a fan of cream foundation. But this one is a little different. It's the first ever solid serum foundation. 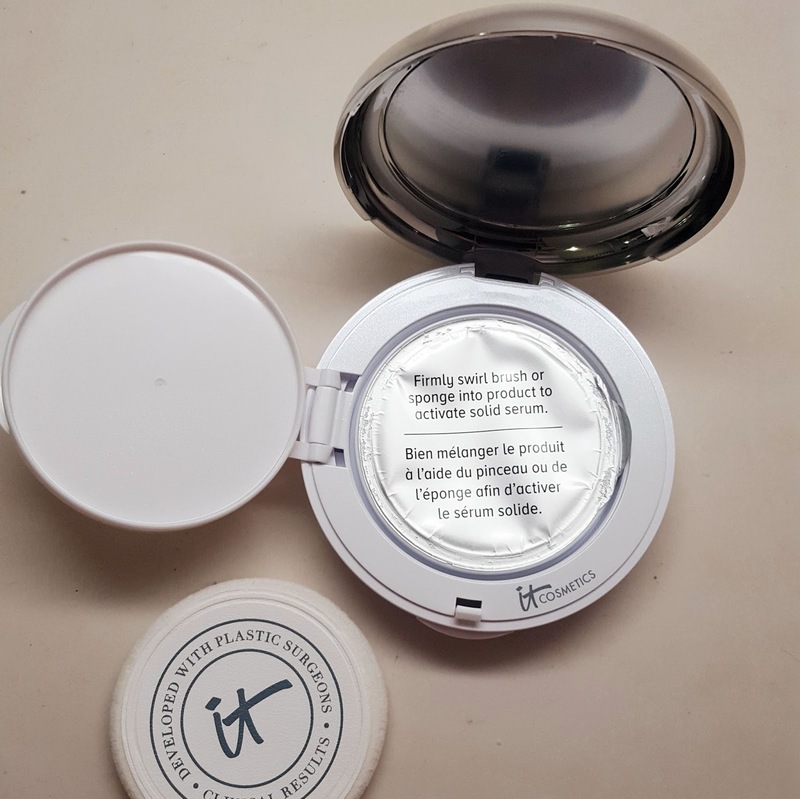 To apply, you firmly swirl your brush or sponge into the product in order to activate the solid serum. 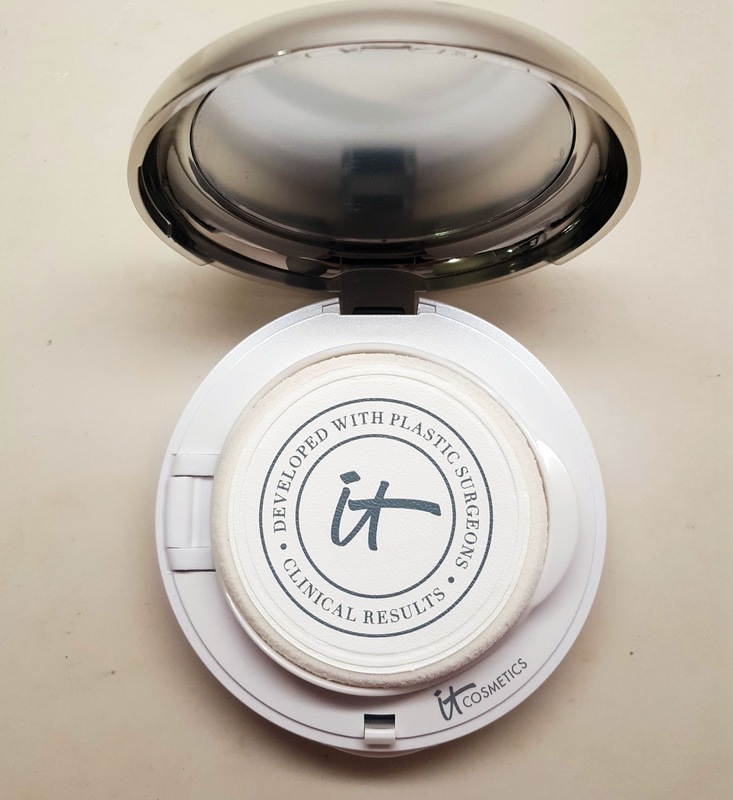 I prefer using a dense, synthetic foundation brush in a flat top shape. As soon as you apply the foundation to your skin, you feel an instant cooling effect - that's the serum. 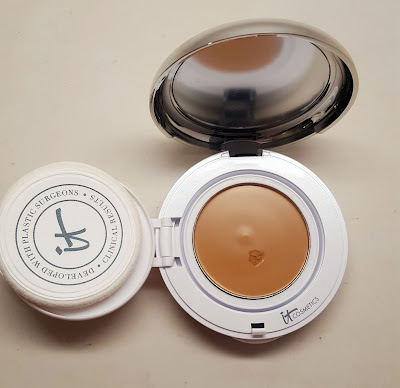 If you are a skincare fanatic like me, you'll recognize some of the active ingredients in this foundation as being super beneficial to your skin care: collagen, hyaluronic acid, squalane, antioxidants and a super ceramide cream truly transform your complexion. Did I mention it has SPF 50! Hallelujah! There are currently 7 shades to choose from: fair, light, medium, medium-tan, tan, rich and deep. For reference, the shade tan blends effortlessly into my skin tone. This product is awesome for those with dry skin like myself. My skin feels so nourished after application. 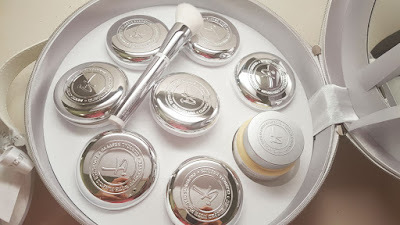 It's also supposed to reduce pores, discoloration, wrinkles and increase firmness - yes yes and yes! 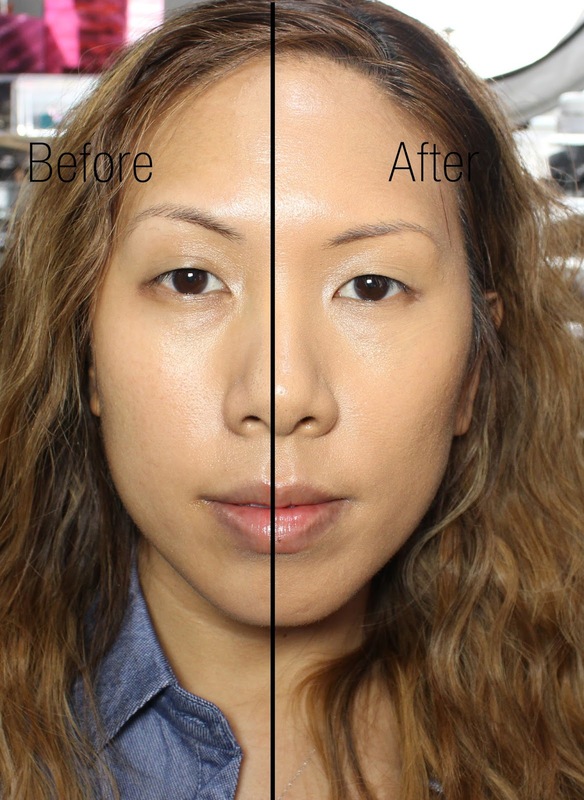 Check out my before and after...on the left no foundation, on the right I applied Confidence in a Compact.